Are there any special tools required with the new self-sealing valve system? Other than the tools needed to charge your A/C system normally with, like a pen, safety glasses, gloves, there are no special tools required for the new self-sealing valve system. Will it take longer to recharge my car's A/C with the new self-sealing valve system? No. 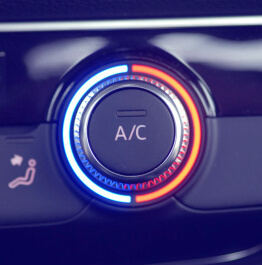 The time it takes to recharge your A/C system, and the ease of use, are virtually the same. If I use a DVA-1 adapter to connect my gauge to a 2018 can, do I leave it on when I'm done? No. The new can has the self-sealing mechanism that will prevent refrigerant. If I use a universal gauge on a piercing valve can, can I remove the gauge before I've used the entire can without leaking the remaining refrigerant into the atmosphere? No. Unfortunately while our new universal gauges work with both types of valve systems, they do not make a piercing valve act like a self-sealing valve. If you're using a piercing valve can, you will want to keep your gauge attached to the can until it is depleted. There are no expiration dates on your products. Should I be concerned that the refrigerants in a piercing valve can is too old to work correctly? R-134a refrigerant and the additives that accompany our products do no expire or "go bad". You can purchase an older generation can with confidence that its contents are just as capable as newly packaged product.